By 1920, Cantonese opera had been heard in the largest port cities of North America, where Cantonese-speaking Chinese had been living and working since the mid-nineteenth century. 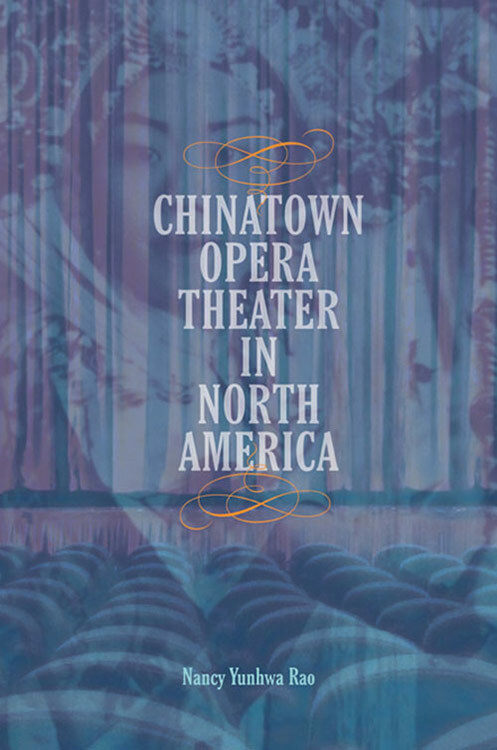 In Chinatown Opera Theater in North America (University of Illinois Press, 2017), Nancy Yunhwa Rao recovers a genre, performers, musicians, venues, and communities that have not been assembled and organized within a single narrative before. As I read I was struck—sadly—with just how similar the current travel ban and minority restrictions resemble the issues of nearly a century ago. In her examination of the prosperous, yet fraught, era of 1920s North American history, Rao bridges political, social, and cultural issues that cross an ocean, reside in multiple countries, and impact opera companies during the “Golden Age of Cantonese Opera.” Rao supplies readers with voluminous and important details, presenting us with a historical circumstance that continues to resonate today. Her book arrives at an influential moment in the fields of musicology and ethnomusicology when issues of social relevance and canon are being reassessed. 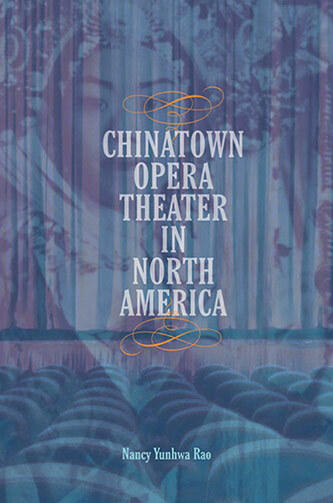 Rao organized Chinatown Opera Theater into five parts to introduce perspectives to understanding Cantonese opera within the North American environment. The opening, “Transnational History and Immigration,” provides a crucial socio-political backdrop because the participants of Cantonese opera and their North American audiences have been marginalized or ignored for decades as a result of local pressures and an unexplored geographical web. She achieves a complete view with details from international, national, and local viewpoints. Within these complicated matrices, Chinese-owned businesses and organizations contributed financial support that made Cantonese opera thrive and succeed. Chapter two is devoted to a thorough evaluation of the American 1882 Chinese Exclusion Act, which directly impacted the communities and transnational flow of this musical genre. The second part of the work offers an introduction to Cantonese opera as a genre. Here, the aesthetics, repertoire, and roles are vividly described. Through extant phonograph records and the recovery of thousands of playbills, Rao reconstructs the events, musical numbers, musicians, and actors. In chapter five, she compares and contrasts two recorded versions of a “Shilin Jita” aria that is found in the opera, Madame White Snake. Rao, a music theorist by training, provides a detailed musical transcription of the two versions alongside her analysis. It is in this chapter that I have a quibble. In the front matter, she sets forth her decision to use Mandarin pinyin for transliterations of Chinese names and terms for “consistency” and “ease of reference” within the book and between other studies. (xvi) Furthermore, in an opening chapter, Rao stresses the importance of language for Chinese-American immigrants, where the language of the community conveyed their “beliefs, practices, and social relationships.” (35) In names and terms, I can accept the choice; however, the aria transcription creates a sonic error that can impact understanding and reconstruction. While Cantonese pinyin is not a uniformly codified Romanization system, the choice of Mandarin pinyin within these arias has important implications. Some scholars might construe this choice as a linguistic disjuncture, while others could view it as an inauthentic representation of a recording. If one were to hear these recordings or wish to reconstruct these “Shilin Jita” arias from this chapter, the musical examples would neither be accurate linguistically nor represent the practice of the Cantonese aria. The following three parts document practices at Chinatown Opera Theaters from multiple North American geographic perspectives. Rao begins her narrative in British Columbia, discussing of the Chinatown communities in the port cities of Vancouver and Victoria, which regularly received singers from southern China, in part because the Canadian exclusion policies were less restrictive than those in the United States. She credits these theaters as significant influences of the revival in the American theaters. Rao includes critical details about the communities in North America, highlighting prominent events, such as annual Chinese New Year celebration and the Canton–Hong Kong 1925–26 labor strikes that directly impacted the migration of performers and the Cantonese opera recording industry of southern China. She features the growing importance of female performers in a once male-only genre. American music scholars, such as Rao, have repeatedly included many non-canonical approaches and repertoire, which has been significant in recent statements of scholars and actions of music department curriculum. Harvard University Music Department has altered its undergraduate curriculum to be more flexible and offer more options to study non-western music.1 In addition, Cornell ethnomusicologist Alejandro Madrid argues effectively that academic scholarship should be “. . . a critical intervention that would help us better understand and make sense of the worlds we live in and the routes we have followed to get where we are and to relate to each other in the way that we do.”2 Rao’s book is an important text that should be included in musicology or ethnomusicology courses, not only for the historical and cultural reference that it brings to bear, but also for how the genre of Cantonese opera improves our understanding of the world today. 1 William Robin, “What Controversial Changes At Harvard Mean For Music In The University,” The Log, https://nationalsawdust.org/thelog/2017/04/25/what-controversial-changes-at-harvard-means-for-music-in-the-university/ (accessed 6 June 2017). 2 Alejandro L. Madrid, “Diversity, Tokenism, Non-Canonical Musics, and the Crisis of the Humanities in U.S. Academia,” Journal of Music History Pedagogy 7 (2017): 125.